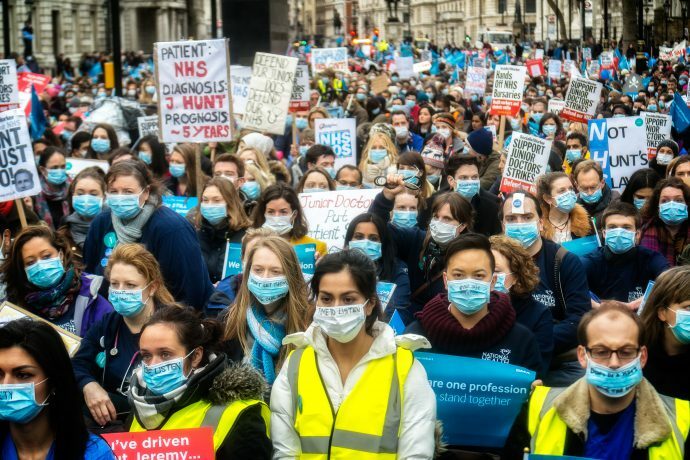 Is the Government misleading people over Junior Doctors’ Contracts? When people accuse politicians of lying, I generally roll my eyes. Almost a decade ago, I laid into my local MP for sending me an inaccurate letter. Guido Fawkes picked it up and called the poor guy a moronic liar. The episode was a whiny hurling of personal insults that achieved nothing of value. I still slightly regret it. And these days, too often people choose to quote politicians out of context, wilfully misunderstand their position, or turn slips of the tongue into conspiracy theories. I have no interest in any of that. And yet. And yet. And yet, I have noticed a lot of inconsistency in Government statements on the Junior Doctors’ Contract dispute. I’m not accusing anyone of lying. I’m not even accusing anyone of being deliberately misleading. I’m just highlighting statements which, as far as I can see, don’t match one another. Look through the list yourself. Check out the sources. Draw your own conclusions. There will be no imposition. There has been no change whatsoever in the Government’s position since my statement to the House in February … We are imposing a new contract, and we are doing it with the greatest of regret. Is it really the Government’s position that “no imposition” and “we are imposing a contract” mean the same thing? No trainee working within contracted hours will have their pay cut. No one will see a fall in their income if they are working the legal hours. Is it the Government’s position that “contracted hours” and “legal hours” mean the same thing? Or did Gummer choose to to undersell the Government’s own guarantee on 21 March? It will actually cost us more. 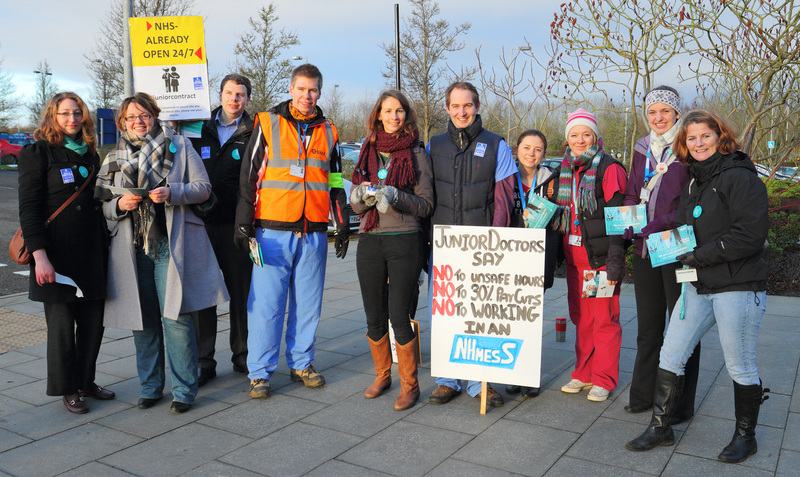 If you’re going to ask more doctors to work at weekends, you’re going to have to pay more. Does the government consider “cost neutrality” and “it will actually cost us more” to have the same meaning? What we do need to change are the excessive overtime rates that are paid at weekends. They give hospitals a disincentive to roster as many doctors as they need at weekends. What we’re actually doing is giving more rewards to people who work the nights and the more frequent weekends. Was the Secretary of State mis-speaking when he said that the contract reduced excessive overtime rates at weekends, or when he said that the new contract increased them? Certain features of the new contract will adversely impact on those who work part-time, and a greater proportion of women than men work part-time; women, but not men, take maternity leave and some aspects of the new contract have certain adverse impacts regarding maternity; certain features of the new contract will potentially adversely impact on those who have responsibilities as carers. Shorter hours, fewer consecutive nights and fewer consecutive weekends make this a pro-women contract that will help people who are juggling important home and work responsibilities. Is it the Government’s position that it got its own Equality Assessment wrong when it concluded that it discriminated against women? No doctor will ever be rostered consecutive weekends. Good practice guidance will be published in the near future to support employers, including guidance on rotas and scheduling, and will make clear that, where possible, routine rostering of consecutive weekends should be avoided. Does the Government consider that “ever” and “where possible” mean the same thing? 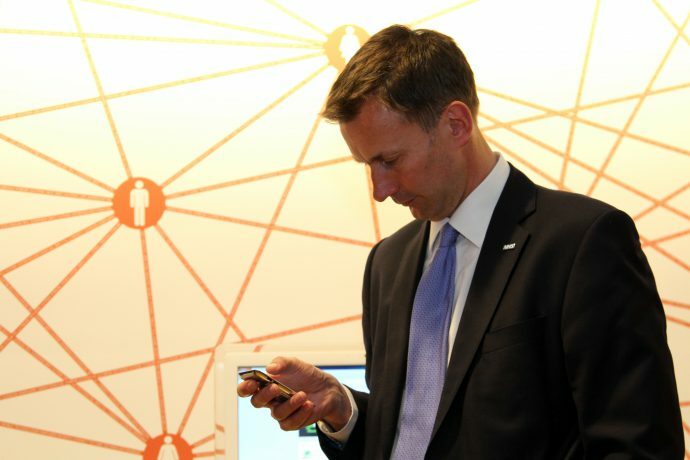 We will make the NHS more convenient for you. 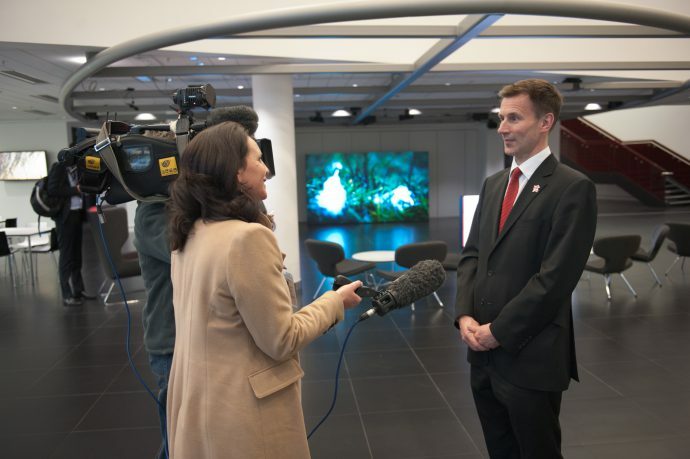 We want England to be the first nation in the world to provide a truly 7 day NHS. 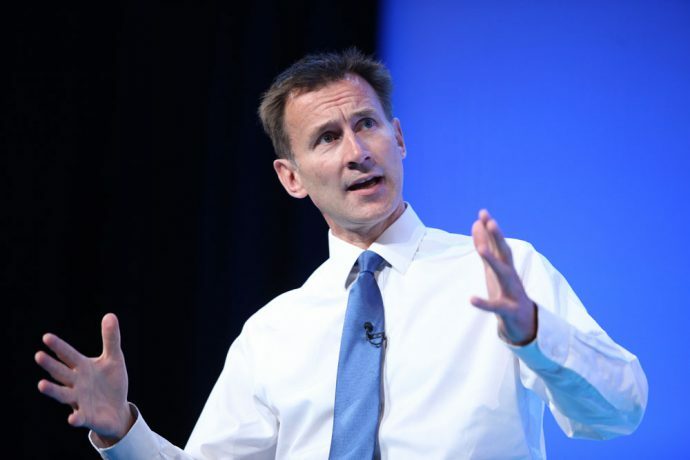 There is concern that the government may want to see all NHS services operating 7 days. Let me be clear: our plans are not about elective care. Were the Conservatives up front about not including elective care in their plan to make the NHS more convenient with a truly 7 day service? The first line on the first page of this Government’s manifesto said that if elected we would deliver a seven-day NHS. 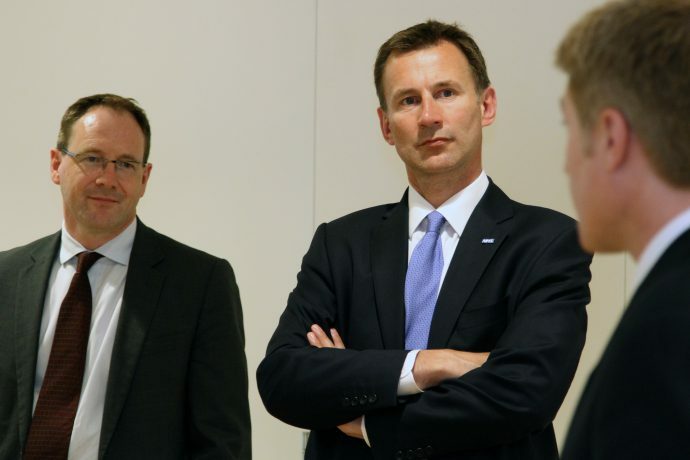 Will Hunt correct the Parliamentary record for misquoting his own Party’s manifesto? It is now not possible to change or delay the introduction of this contract. 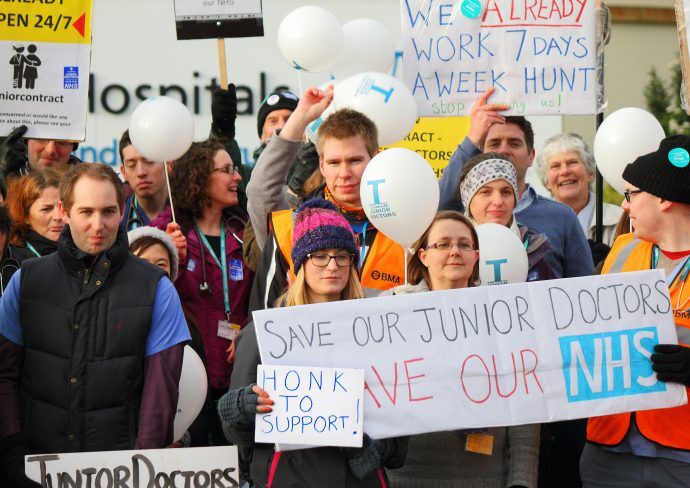 We will pause introduction of the new contract for five days from Monday should the Junior Doctors’ Committee agree to return to talks. 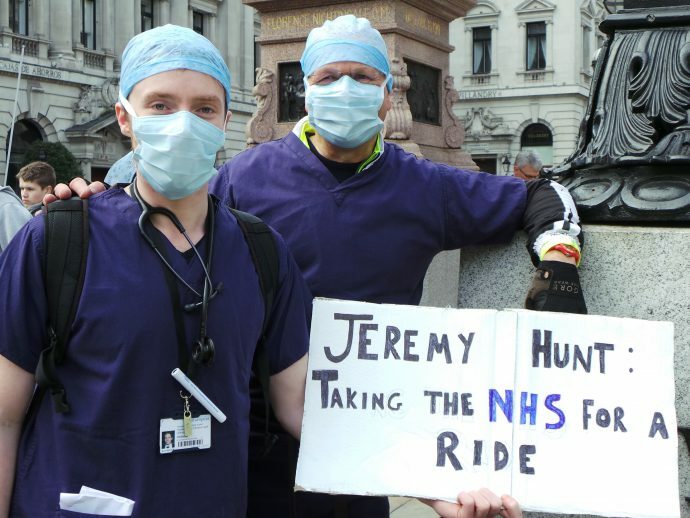 Is Hunt claiming to have achieved the impossible? Or was was his earlier statement erroneous? Images used under by or by-sa licence as appropriate. Sources (in order of appearance): Ted Eytan, Roger Blackwell, University of Salford Press Office, Garry Knight, Ted Eytan (again), Garry Knight (again), NHS Confederation, Roger Blackwell (again). Thank you all! This 2,305th post was filed under: Health, News and Comment, Rants.